Moving away from the fantasy of a floating garage, a more measured approach to the home of the future is on the horizon. Google’s high-profile Nest purchase and the announcement of Apple Home stoked the fire, but constant manufacturing delays meant that the smart homes of today are just starting to show their potential. Unlike bricks and mortar, smart homes are built on a foundation of Internet of Things (IoT) technology. IoT refers to the ability of devices to sense changes in their environment, and communicate those changes with other devices. So in a smart home, these systems – from appliances to lighting, heating, blinds, even security – are connected via a central hub and are able to talk to one another through the exchange of data. The ability for these devices to be simultaneously controlled through a single platform is what makes them ‘smart’, and the degree of intelligence they respond to is increasing every day. At Apple’s WWDC 2016 conference in June, Senior VP Craig Federighi announced Apple would be releasing a new app, Home, to work alongside the HomeKit platform on iOS10. With the Home app, all HomeKit enabled devices will be able to be controlled from just a single click from your iPhone, Apple Watch, or iPad. The more advanced SIRI platform will integrate voice activation, so the spoken command ‘I’m leaving now’ will turn the lights off, shut the blinds, and lock the door until you return. Hot on their heels, Samsung’s SmartThings Hub (due to arrive in Australia in late 2016), integrates with Samsung SmartThings appliances and other smart products around the home. The hub can let you know when mail has arrived, when your cat is at the door and wants to be let in, or let you set routines to automatically turn off the lights and TV if you fall asleep watching TV. While pushes and swipes are the function du jour in the smart home scene, a new control method is taking over – your voice. New smart home player Google Home is positioned to be the smart home extension of Google’s Now service – an ambitious ‘assistant’ that can do anything and everything, both in and out of your home. Google home solutions rely on AI as a point of difference in an increasingly crowded market. At a recent demonstration, Google Home proved capable of recognising conversation of human routine and responding appropriately – so someone who has just asked what the traffic is like may want to book a taxi in the next command. 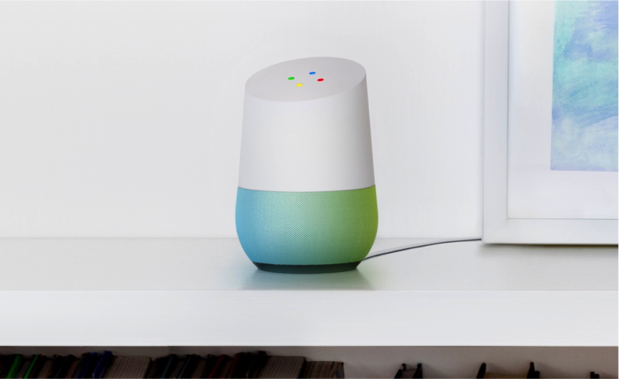 Home’s ability to go above and beyond pre-programmed commands with the power of Google products could give it the edge needed to become a mainstream product. The popular Amazon Echo continues to find success as an always-on, always-listening speaker equipped with its very own virtual voice-enabled assistant, Alexa. Like the human brain, Alexa is designed to get smarter the more you use her. She can respond to requests to play a song, set an alarm, or read out the latest news headlines (as well as keep up with any inside jokes). While impressive, the Alexa system doesn’t have the same access to deep intelligence that Google’s Home does – relying on an open source platform for third party developers to build products around it. Following their $3.2 billion purchase by Google in 2015, Nest continues to revolutionise home automation. Its automated range of thermostats, smoke alarms, and security cameras have long been in communication with mobile devices, and there are plans on the way for an automated baby crib that could not only moderate a baby’s environment, but understand its needs using voice recognition algorithms. Naturally, shifting one’s habitat to a futuristic tech haven is never going to be a quick transition, and there are some very understandable precautions holding the industry back from full adoption. Cost is a huge barrier to entry, and like most network-based solutions, security is also a concern when considering the connected nature of smart home systems (one product dropping out could mean an entire home falling off the grid). A program that controls your windows and locks means that the software controlling it has to be as impenetrable as your home’s physical exterior should be. Otherwise, you’re open to “threats (of) arson, blackmail, theft and extortion”, according to Earlence Fernanders, Doctoral Student in Systems and Security, University of Michigan. It means that any system has to be more robustly designed than, say, the early driverless cars. However, given that Australia has the highest smart home growth rate in the Asia Pacific region, it’s likely that we’ll be seeing Smart Homes adopted with similar vigour as the USA and Europe. Like it or not, it looks as though our homes will talk back to us before too long.